The sight of an approaching tornado is so spectacular that it has captured people’s imagination for centuries and been portrayed in a number of books and movies – from the 1900 novel The Wonderful Wizard of Oz to present day disaster films like Twister or Into the Storm. If you have ever crossed paths with a tornado though (or happen to live in Tornado Alley) and have firsthand knowledge of a twister’s violent force, you may not be so fascinated by the wind vortices. Tornadoes are dangerous – the whirling winds can reach more than 300 miles per hour and their damage paths can be more than 1 mile wide and 50 miles long – and you need to be well informed and well prepared in order to successfully protect yourself, your family, and your property if a twister hits close to home. This said, keep in mind that there are a lot of myths about tornadoes circulating among the general public and not all the information you find on the Web or in the media is correct. Make sure that you know the real facts as taking tornado myths at face value can be outright dangerous – it may lead to inadequate preparation, wrong decisions, and wasted time in critical situations. But how to tell fact from fiction? 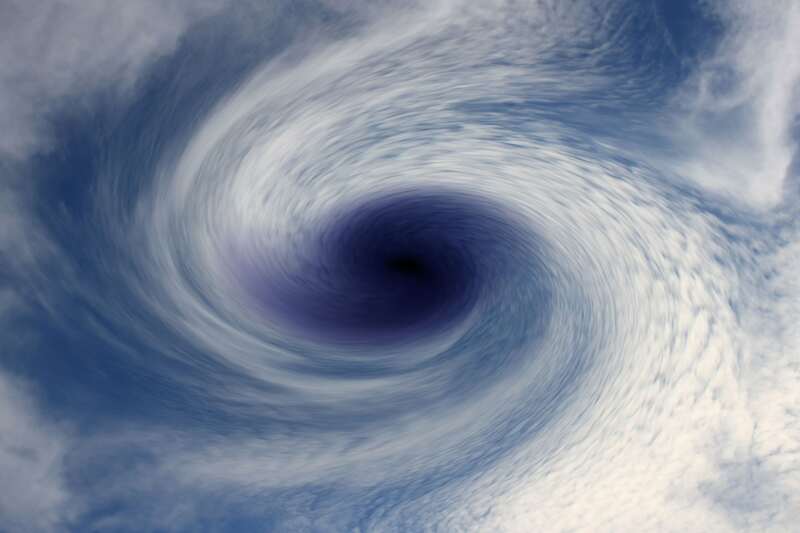 How to avoid grave mistakes before, during, and after a whirlwind storm? Read on to find out the difference between tornado facts and myths and to learn how to prepare for a tornado the right way. A tornado is a violently rotating column of air (a wind vortex) that forms when warm, moist air rises to hit cool, dry air travelling in the opposite direction. This results in a visible condensation funnel that is pulled down to the surface because of the extremely low pressure created by the intensified updraft. When the rotating wall cloud reaches the ground, it creates a gust front that can cause severe damage at quite a distance from the actual tornado. Tornados are usually accompanied (or preceded) by thunderstorms and can come one at a time or in clusters. They can vary greatly in size, speed, and movement patterns. Tornado Myth # 1: Tornadoes occur only during “tornado season”. Fact: Tornadoes can happen at any time of the year. Wind vortices form most often in spring (due to the unsettled weather in this transitional period), but twisters have been recorded in all seasons and all kinds of climatic conditions. Tornado Myth # 2: Tornadoes happen only in North America – and mainly in Tornado Alley. Fact: While it is true that tornadoes occur most frequently in the Great Plains states where warm Gulf air meets cold Arctic air during the spring and creates the perfect environment for a twister, wind vortices can form at any place where the atmospheric conditions are right. Tornadoes have been witnessed on every continent on earth, except Antarctica. Tornado Myth # 3: Tornadoes only move in a northeast direction, so the southwest corner of a building is the safest place to stay during a windstorm. Fact: While the vast majority of tornadoes do indeed follow a northeasterly course, a twister can travel in any direction. Tornadoes are erratic and unpredictable and do not follow a specific path. It is recommended that you seek shelter in a hallway or interior room in the center of a building, on the lowest floor, and preferably under an I-beam or staircase. Tornado Myth # 4: It can be determined how powerful a tornado is by the size of the funnel. Fact: The strength of a tornado is measured by its wind speed, not its size (the width of the tornado funnel) – a “thin” tornado can have intense winds whereas a “wider” one can come with weaker winds. Besides, it’s common for a tornado to change sizes during its lifecycle, so there’s no way of estimating its power based on the funnel width. Tornado Myth # 5: Tornadoes are always clearly visible. Fact: Tornadoes can be obscured by rain or clouds – sometimes, the rain around the core is so heavy that the tornado is completely invisible (but no less dangerous). Moreover, tornadoes may appear nearly transparent until dust and debris are picked up or a cloud forms within the funnel. Tornado Myth # 6: You can out-drive a tornado. Fact: Tornadoes can move at up to 70 mph or more and shift directions erratically. There is no way to guess the travel speed or wind speed of a tornado just by looking at it, so you’re advised to abandon your vehicle and seek shelter in a nearby building as soon as you spot a twister. Not only is it a bad idea to try to outrun the whirlwinds, but it is also unwise to remain in the car as the flooding and flying debris from the tornado can put you in severe danger. Tornado Myth # 7: Highway overpasses offer excellent protection against tornadoes. Fact: Overpasses are actually one of the worst places to seek shelter during a tornado because of the wind tunnel effect – the overpass acts as a wind tunnel that accelerates winds and flying debris speed. So, hiding under an overpass puts you in even greater danger as the structure may not be stable enough to withstand the violent winds and the risk of getting hit by flying debris increases. Abandoning your car at the overpass and climbing up the sides is also a big mistake – you’ll be blocking the roadway with your vehicle and will be at greater risk from the flying debris (the winds tend to be stronger at higher levels). Tornado Myth # 8: The strong winds are the most dangerous aspect of a tornado. Fact: Intense winds can cause a lot of damage of course, but tornadoes have picked people and items up, carried them some distance, and then set them down without serious injury or damage. Even fragile items, such as sets of china or glassware that have been blown from houses, have been recovered, miles away, mostly undamaged. 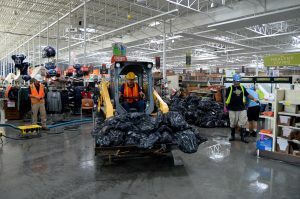 If hit by the airborne debris moving at great speed, however, any item will be smashed or broken, building structures will be severely damaged, and people and animals will be gravely wounded. So, it is the flying debris that pose the greatest threat during a tornado. Tornado Myth # 9: There’s no danger when you’re inside a strong brick or stone building during a tornado. Fact: Sturdier buildings provide better protection than a mobile home or timber frame structure, but tornado winds are strong enough to tear up roofs, shatter windows, and knock doors off their hinges – so you still need to be very careful and take the necessary safety precautions, even if you’re in a brick or stone building when a tornado hits. Tornado Myth # 10: Tornadoes do not strike big cities and downtown areas and never hit the same place twice. Fact: Cities (and town centers in particular) cover a relatively small geographical area, so the actual chance of a tornado hitting one of them is very small. Yet, tornadoes have been witnessed in many big cities around the world. What’s more, there is nothing to prevent a tornado from striking the same area twice (or more) – some regions of the country have even been hit by a twister several years in a row. Tornado Myth # 11: Tornadoes cannot cross bodies of water or form in the mountains. Fact: A tornado can easily cross over a river or lake or even form over them (the so called waterspouts). Besides, whirlwinds can travel up a ridge unaffected for at least 3,000 feet and have been witnessed on mountains as high as 12,000 feet above sea level. Tornado Myth # 12: When a tornado warning is issued, you should open all the windows in your home. Fact: A tornado warning means that storm circulation has been confirmed in your area and/or a tornado has already been spotted. You are recommended to take shelter immediately, not waste time opening the windows – this will not equalize pressure and protect your home against damage, but will only allow more debris to fly inside and will result in greater devastation (not to mention that it will take away critical minutes that could be used to reach shelter). Knowing these important facts about tornadoes will help ensure the safety of you and your loved ones and prevent severe damage to your property during a violent windstorm. Stay calm and if possible, turn on the radio to listen for updates and important information concerning the tornado and the recommended course of action. Stay in the shelter for at least an hour or two after the storm passes. Contact family and friends to let them know that you’re okay – use text messages or social media as these forms of communication are more reliable than phone calls during an emergency. When the officials indicate that it is safe to go out, check with your neighbors to see if they need any assistance and try to help people who have been injured. 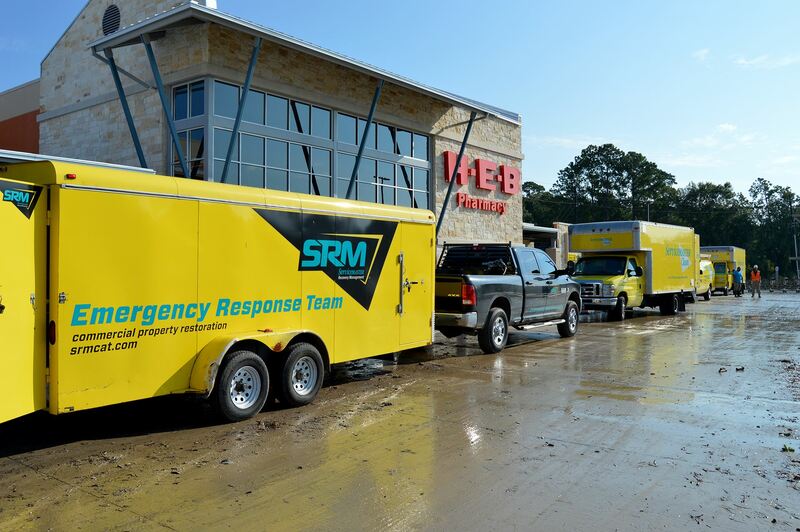 Call trustworthy disaster restoration professionals who have the specialized equipment and rich experience required to deal with tornado damage in a safe and efficient manner. ServiceMaster Restoration & Cleaning provides hurricane and tornado damage repair services in Houston, TX, and the surrounding areas. 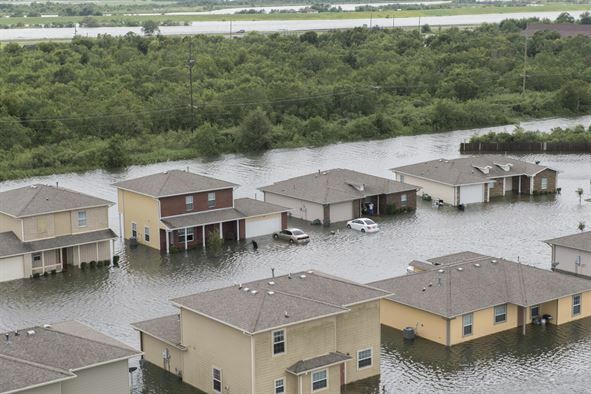 Our technicians will remove flood water, clean the affected areas, repair any structural damage to your home or commercial building, and perform the necessary mitigation procedures quickly and effectively, so that you can get your life back on track as soon as possible after the disaster. Just make sure you contact us immediately after the storm as the damage will only get worse with time. One of the best things about summer is cooking outdoors. If you have your own equipment, you never have to worry about what to make for dinner – when in doubt, just fire up the grill! Follow these grilling and food safety tips and you’ll be able to enjoy eating outside all summer.